Sterling exchange rates in general have had a positive day. With good gains against the Euro, Canadian Dollar, Australian Dollar and South African Rand. Although we have seen continuous losses aginst the US Dollar and YEN as investors are still looking for a safe haven with their investments. Data out today for the UK which had most significance was the second estimate for Gross Domestic Product for the last quarter. Up in line with expectations hitting 0.3% as opposed to the prior estimate of a 0.2% increase. The markets for the pound are reacting well over the last couple of days trade but if you have requirements to buy USD or YEN you should be wary as the more investors that turn to this safe haven will have dire affects for the pound. We could see levels dipping below the 1.40’s if this trend continues. Inflation figures are key for sterling tomorrow, with UK, European and US figures all released. A high or rising inflation figure may be the first indication of an interest rate hike in the future, so anyone looking to predict or indentify movement should keep a close eye on the figures. UK inflation figures are released at 9:30, followed by EU figures at 10:00am, then US figures at 13:30. For the EU Trade balance figures are out at 10am, some readers may recall that UK trade balance figures last week were very negative and caused some serious sterling weakness. The Euro figures today are expected to show a surplus, as they have done for the last three months. This would be good news for the Euro zone and could lead to some strength for the single currency. With the Euro having lost ground against a host of currencies recently this could present an excellent opportunity for anyone selling Euro’s. The other main factor for the Euro is the situation in Greece, which is still rumbling on. There is both uncertainty and fear in some areas of financial markets that problems could spread to Spain Italy and Portugal. An increased chance of contagion could see the Euro weaken. Sterling Spike – been and gone? Now that the UK has a new coalition government and the currency markets have calmed somewhat, we are starting to get an idea of how the pound is valued in world markets. The authors here on pound sterling forecast had been predicting GBPEUR to hit 1.20 if we got a conservative majority, and GBPUSD to hold above the 1.50 mark. Unfortunately the coalition creates a little uncertainty, (which as we know well the markets dislike) and this has led to some sterling weakness. The question now is will this weakness continue? The above factors are key to the pound, as all have an effect on the potential for economic recovery in the UK. Ultimately this will be the main driver for the pound. If we see strong economic recovery then I expect the pound will increase in value, the issue is that economic recovery is likely to be sluggish and the factors above are either symtons or precautionary steps that will be taken as a result. How the election could affect GBP Exchange rates? The general election has caused a great deal of volatility for sterling exchange rates over the last few weeks. Anyone with a currency requirement will have had a close eye on the market I’m sure. While anyone selling foreign currency may not have been too happy, if you are looking to purchase foreign currency no doubt the current spike makes things a little more attractive. * My own disclaimer is that this obviously is a very crude analysis! With all currency transfers you need to consider the other side of the transaction i.e. in GBPEUR, the issues affecting the Euro, like the Greek crisis, but as a rule of thumb it’s a good guide in my opinion. It is always incredibly difficult to pick the peak of a spike, especially when it is based on a general election. In such a situation it’s best to try to take a step back and look at the return you are currently getting. Ask yourself, “if rates move in the wrong direction, can I afford to take pay the extra?” If you can and you are a risk taker, it may be worth seeing how things pan out with the election. However, If you tend to be more prudent and the return on your currency at present is acceptable, it may be worth booking a rate today. Either way, if you want to find out a little more about the contract types available, and the ways in which you can hedge your bets (book 50% today and 50% after the election for example), then email me ajm@currencies.co.uk or fill in the enquiry form on the right of this page. From the sterling side we’ve seen the pound make gains due to increased confidence in the UK economy as the Greek crisis has highlited a weakness in the euro zone. Onthe Euro side we’ve seen a ‘sell off’ of Euro’s becasue of the debt problems in Portugal Italy Spain and Greece. The inability to reach a quick and unanimous decision also damage Euro exchange rates. The election tomorrow is really the main focus for the pound now. I think we have the chance of a Tory government now priced in, but only the chance. I think if we do see a Conservative majority then you could see rate improve around 2 cent, but I would be very surprised if interbank levels push through the 1.20 mark. On the other had if we do get a hung parliament I would expect to see some sterling weakness and the pound fall back down to interbank levels around the 1.15 mark. 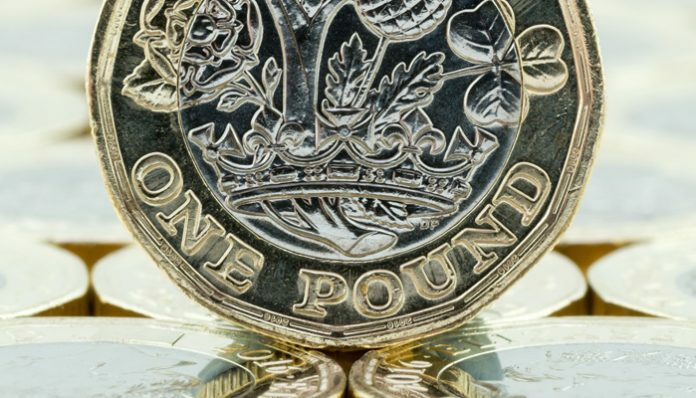 The Pound has continued its positive trend against the Euro during the start of the weeks trading this is mainly due to the underlying cracks now appearing fully in Europe, reasonably positive manufacturing data coming out from the U.K yesterday and people shifting funds in preparation for the election. I am hoping it will be onwards and upwards following tommorows election however anything can happen….. If you have a transfer to make then it is imperative you keep in close contact with someone who has an eye on the market and carries knowledge of the best way to go about it. Feel free to get in touch with me personally and I will be happy to explain the various options available to you inclusive of forward contracts, stop and limit orders. What will happen to the Pound with the election looming, will the Greece problem affect Sterling? The Pound faces a tough week ahead now with the election geting ever closer and things really hotting up. Investors are clearly due to be wary regarding this factor and speculators may well start to gamble heavily on the outcome over the course of next week. This may lead to some extremely volatile markets and in turn some fantastic buying and selling opportunities for those with transactions to carry out. Should you wish to be kept informed of any movements in your favour or against you then do feel free to get in touch by either emailing me directly on djw@currencies.co.uk or filling in the enquiry form on the right hand side of this page. The situation in Greece is also a major player at present… Although people may think it will only affect the strength of the Euro it could also have a knock on effect on the Pound as investor confidence slips away. Once a package is in place for Greece one would imagine that you may see minor gains for the Euro as confidence rises slightly again over there. If you are buying a property abroad, have business transactions to carry out or need to get money overseas for any other reason and want the best exchange rates, just fill in the contact form and I will be in touch with you shortly.